Little ones will love seeing all of God's blessings of fall! Parents and children will want to cuddle up together again and again to hear the sweet rhyming story and see the snuggly animal families happy in their fall activities. Pumpkin patches, apple harvests, leaves that change color, hayrides, warm beverages, cozy clothes-God Bless Our Fall highlights all the wonderful things families get to enjoy together when the air turns crisp and cool. 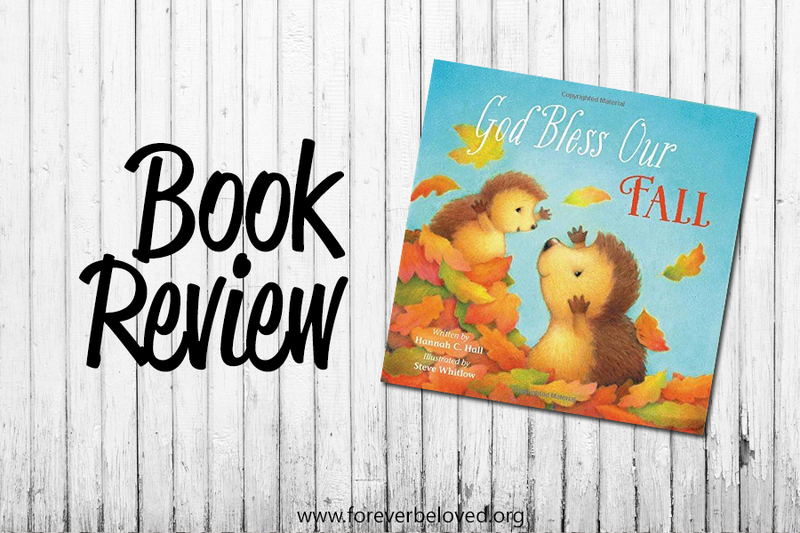 The fifth installment of the bestselling God BlessTM series, God Bless Our Fall features the same talented writer and illustrator combo from God Bless You and Good Night,God Bless Our Easter, and God Bless Our Christmas. This padded board book with a beautiful orange, gold, and crimson color palette will be sure to catch the eye of Mom and Grandma. They'll love using it to introduce fun fall traditions to their little ones and guide them in giving thanks for God's blessings of the season. It's no secret, fall is my absolute favorite time of year! In my family, this season is full of traditions and family togetherness. And this Sunday, we begin a new Sunday School class with lots of little 2-3 year olds in it. What a perfect way to share Gods blessings of fall with them. I'm so super excited to read this book to those littles! This book is a sweet, charming, rhyming account of all of fall’s most fun components. I even enjoyed reading it myself! It covers everything from outside activities like hayrides and fairs to inside activities like baking and sitting by the fire. Hannah C. Hall’s text is a perfect balance of whimsy and reality for getting little ones excited for fall. The adorable characters that are brought to life through Whitlow’s delicate art work share how the season changes from summer to fall. From the changing of the leaves, the chill in the air, pumpkins, cozy fires, and hayrides we are introduced to the new season. Hannah C. Hall is a wearer of many hats. (Except for real hats. Her head is too big.) 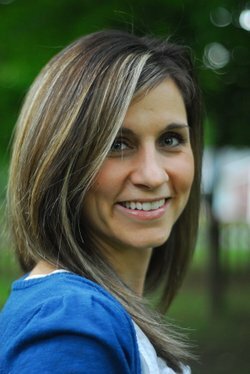 She is a bestselling author, award-winning blogger, lover of Jesus, lover of Josh, mother of four, cooker of meals, changer of diapers, and unashamed enjoyer of desserts. Visit her at HannahCHall.com.